The Medal of Arts award was initiated by Art in Embassies in 2013 to formally acknowledge artists who have played an exemplary role in advancing the U.S. Department of State's mission of promoting cultural diplomacy. Art in Embassies was begun by the Museum of Modern Art in 1953, and formalized as part of the Department of State by the Kennedy Administration in 1963. One of the United States’ premier arts organizations, AIE’s public-private partnership has engaged over 20,000 individual and institutional participants in over 200 venues in 190 countries worldwide. 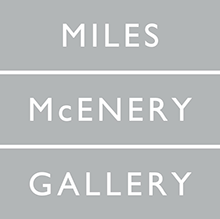 Over the past 52 years, AIE has played a leading role in U.S. public diplomacy by promoting cross-cultural dialogue through the visual arts, and by sponsoring dynamic artist exchanges worldwide. In 2012, AIE initiated the biennial U.S. Department of State- Medal of Arts award to formally acknowledge artists who have played an instrumental role in promoting creativity, collaboration and understanding in support of American diplomacy. Traveling extensively, he has painted landscapes in Egypt, Greece, Hawaii, Italy, Kenya, Maine, Mexico, and New Mexico. He spends his summers and autumns in Vermont on a hillside farm, which he and his wife, painter Emily Mason, have owned since 1968. They have two daughters, Cecily and Melany. 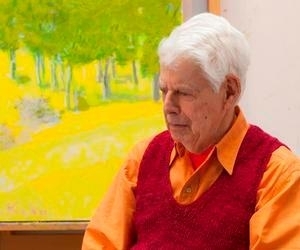 The unique blend of Realism and formal discipline of Color Field painting sets the work of Wolf Kahn apart. Kahn is an artist who embodies a synthesis of artistic traits - the modern abstract training of Hans Hofmann, the palette of Matisse, Rothko’s sweeping bands of color, the atmospheric qualities of American Impressionism. The fusion of color, spontaneity and representation has produced a rich and expressive body of work. Wolf Kahn regularly exhibits at galleries and museums across North America. His work may be found in the collections of The Metropolitan Museum of Art, New York, NY; The Whitney Museum of American Art, New York, NY; The Museum of Modern Art, New York, NY; The Museum of Fine Arts, Boston, MA; The Hirshhorn Museum, Washington, D.C.; The National Museum of American Art, Washington, D.C.; and The Los Angeles County Museum of Art, Los Angeles, CA, among other institutions. Wolf Kahn lives and works in New York, NY and Brattleboro, VT.